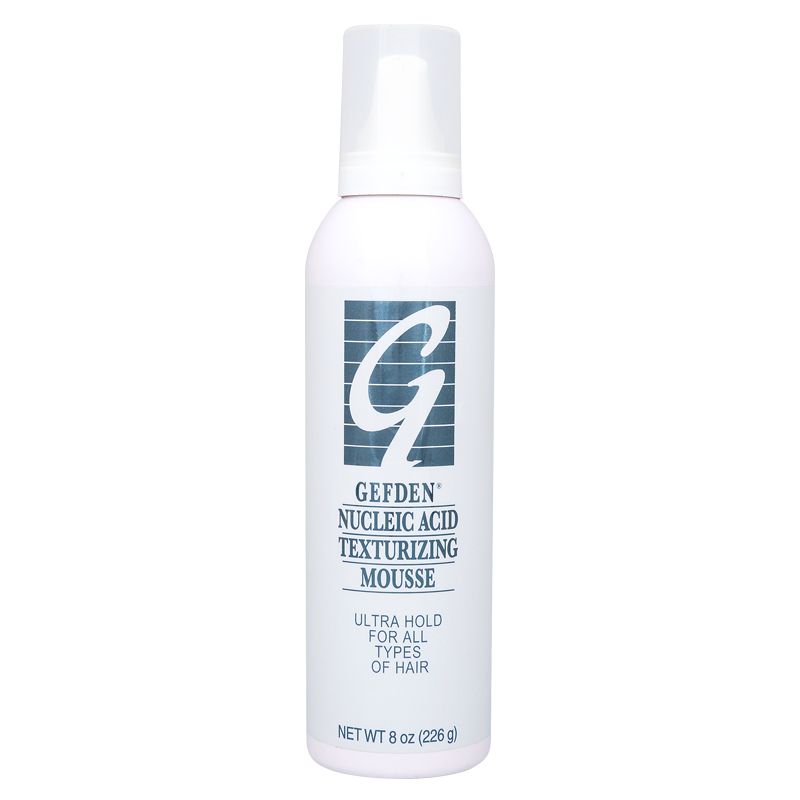 GEFDEN Texturizing Mousse adds exceptional volume and body to all hair types. Damp Hair: Firm but flexible styling for blow drying. 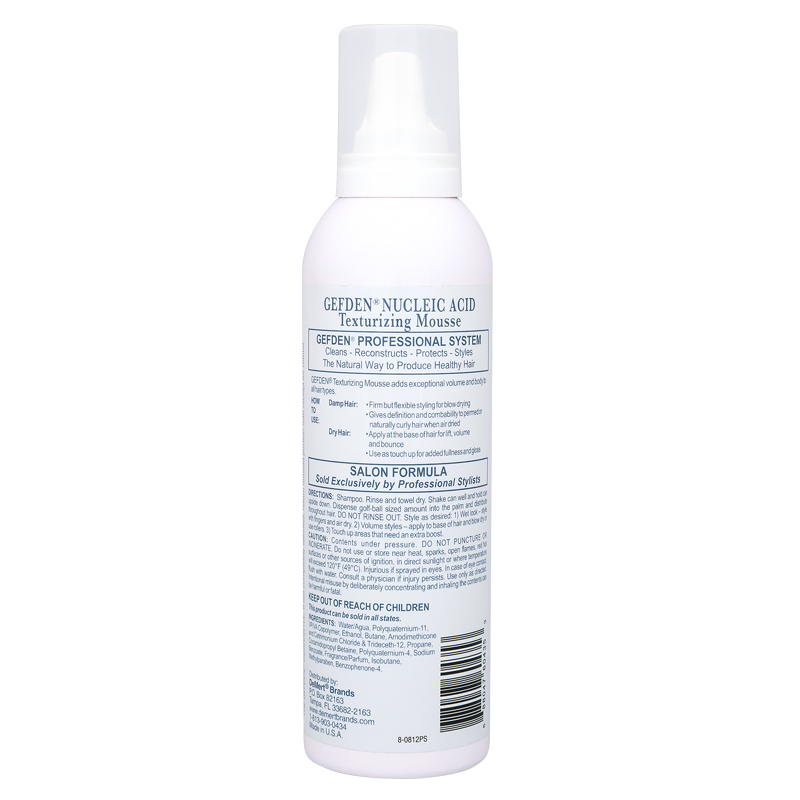 Gives definition and compatibility to permed or naturally curly hair when dried. Dry Hair: Apply at the base of hair for lift, volume and bounce. Use as a touch up for added fullness and gloss. Directions: Shampoo. Rinse and towel dry. Shake can well and hold can upside down. Dispense golf-ball sized amount into the palm and distribute throughout the hair. DO NOT RINSE OUT. Style as desired: 1)Wet-Look- style with fingers and air dry. 2) Volume styles- apply to base of hair and blow dry or use rollers. 3) Touch up areas that need an extra boost. Warning: Contents under pressure. DO NOT PUNCTURE OR INCINERATE. DO not use or store near heat, sparks, open flames, red hot surfaces or other sources of ignition, in direct sunlight or where temperature will exceed 120 F. Injurious if sprayed in eyes. Incase of eye contact, flush with water. Consult a physician if injury persists. Use only as directed. Intentional misuse by deliberately concentrating and inhaling the contents can be harmful or fatal.